Confidential waste disposal is a carefully monitored process covered by the Data Protection Act. While as a society we are becoming increasingly digital, companies still keep paper records for some pieces of highly sensitive data. When this data is no longer needed it is imperative that it is destroyed entirely. Protecting clients sensitive information is the responsibility of the company holding the documents. Improper disposal of sensitive data is a breach of the Data Protection Act and can result in a hefty fine. Why is confidential waste disposal such a big deal? Any data that reveals sensitive, private information about customers, suppliers or employees can be dangerous if it gets into the wrong hands. A third party could easily use this information to commit crimes such as fraud, identity theft or blackmail. For these reasons, it is highly important you follow the law when it comes to confidential waste disposal. In addition to a large fine (up to £500,000! ), a sensitive data leak could lead to a complete break down of trust with customers, as well as tarnishing your company name. Avoid risking any of these consequences by disposing of your confidential waste with a professional waste management contractor such as Colson Transport. How do I comply with the Data Protection Act? The Data Protection Act has been part of UK law since 1998. It covers the collection, processing, storage and destruction of confidential information among businesses. This article just focuses on waste disposal, but you can find out a lot more about the Data Protection Act here. As a company holding sensitive data, one way in which you can make sure you adhere to Data Protection Act guidelines is by hiring a specialist confidential waste disposal service. Certificates can be provided to prove you have complied with the law in regards to confidential waste disposal. How is confidential waste disposed? 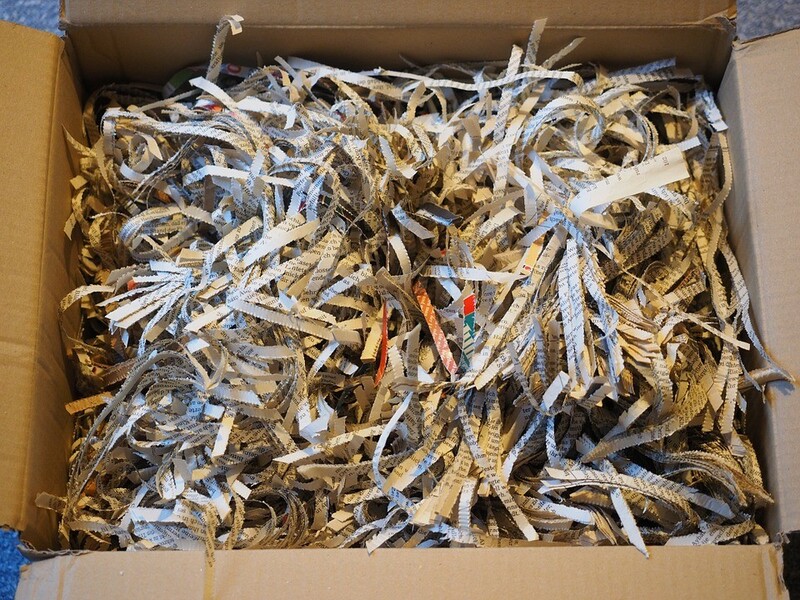 The only way to securely dispose of confidential documents is to have them shredded professionally. Colson Transport have many years experience in securely handling and shredding sensitive data. Burning confidential waste is not a legitimate way of disposing of confidential waste. This is because burnt areas are never evenly distributed, leaving some sections of a page still legible. If you need help disposing of your companies confidential documents lawfully, do not hesitate to call Colson Transport today. Experts in the industry, we provide a range of commercial and domestic waste management services across Nottingham, Derby and Leicester. Visit our website to browse our services, or call now to consult a friendly member of our team: 01773 765 720. Colson Transport take part in 100k Ultra Marathon challenge! Ryan Colson Reveals – Do You Need Planning Permission For Demolition?